Sitting through long hours of work, meetings and appointments is hard enough without having a comfortable and supportive seat at your work space. We have all experienced an uncomfortable chair where you end up slouching , leaning and moving around in order to try and find a good seating position. With the new Beliani office chairs, this is no longer an issue at our office. We recently got some of the new office chairs at the showroom here in Toronto, and have already noticed the difference good seating can make. The Formula 1 and Prince chairs showed up at the office Friday morning and were a breeze to set up out of the box. Each chair took about 30 minutes to unpack and install with very straightforward instructions and detailed pictures to guide the way. One thing I have noticed that sets these chairs apart from other straight back chairs I have used in the past is how much better my back feels after a long day sitting at my desk. The curved backrests let you lean back into the chair, while still allowing you to be upright enough to easily reach a keyboard or desk. Having improper posture can lead to many health problems in the future. By being proactive now you can avoid the aches and pains caused by prolonged sitting in unfit office furniture. We all have to work; we might as well do it in complete comfort and style with these sleek office chairs. 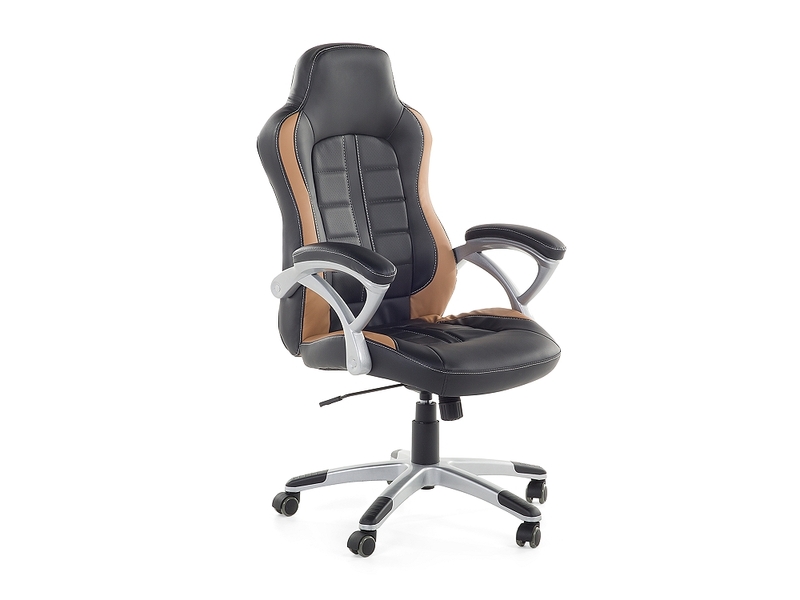 Click here to check out some of the new office, computer and gaming chairs. If you truly wish to clean the interior of your home effectively, you must never forget about your upholstery. Upholstered furniture often accumulates great deal of dust, which can really ruin the entire look and feel of a room. Besides, if you like spending time watching TV while comfortably lying on the couch, chances are you wouldn’t want to allow dust and spoils to ruin your rest. Vacuum the upholstery – in order to prevent dust from settling in your upholstery, you have to be regular at vacuuming. It is surprising how many people simply forget about that and skip the area during their regular runs with the vacuum cleaner. Don’t be one of them. Vacuuming is the simplest cleaning method that you can use, which will greatly reduce the spoils that end up on your upholstery. Clean dust before you proceed with any other form of cleaning because wet dust can dirty the fabric even further. Tackle spills as soon as possible – when a spill on e.g. 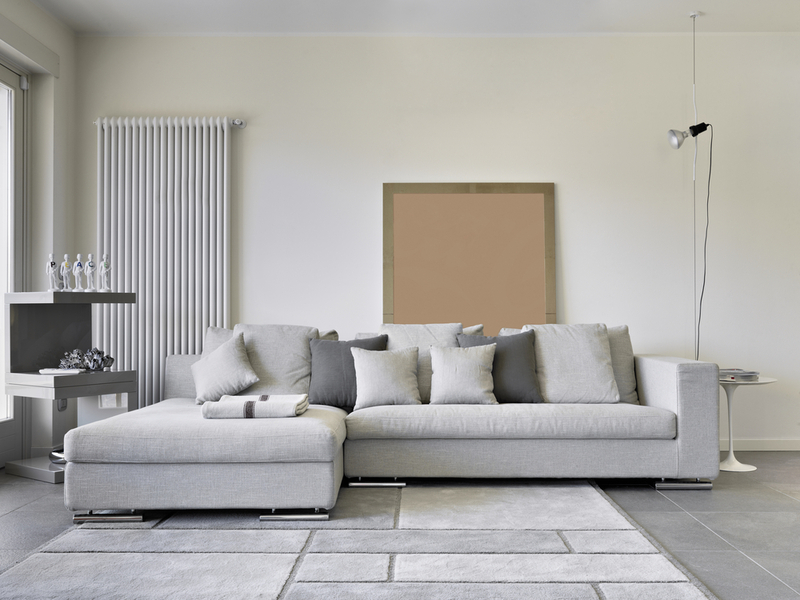 your sofa occurs, acting quickly goes a long way in ensuring that the stain is dealt with. Sometimes you may give in to panic and come rushing with the first sponge you saw in attempts to rub off the stain. That is not advised, because scrubbing and rubbing a stain will only cause it to spread to a larger area, possibly causing permanent damage. What you should do instead is blot the stain with a clean cloth. Gently apply pressure to the stain with the cloth and eventually it will be removed. You may have to work with a cleaning solution, but make sure you read the following tip carefully first. Determine what solution to use – the type of upholstery is a major factor in determining what type of cleaning you resort to. There are many types of fabrics that may be used to make sofas or couches. Among the most popular ones are: cotton, silk, wool, linen and acetate. The type of dye and color used for your upholstery must also be taken into account. Normally, you can expect a code to help you determine the type – X stands for upholstery that should be sanitised by professionals only; S means dry cleaning is preferred; W stands for upholstery that can be cleaned with water; WS – dry cleaning and cleaning with water is allowed. Decide between homemade and commercial cleaners – if you have tested a recipe before and found it effective in your upholstery cleaning chores, there is no reason to substitute it for anything else. If you have never tested such solution, it is a good idea to place your bets on proven commercial products. Upholstery cleaning is a necessary part of your chores, if you want to ensure your room looks beautiful. Consider the most effective methods and you will be able to easily deal with it. Click here to go directly to Beliani’s selection of modern upholstered fabric sofas. Shopping for furniture involves a lot of consideration – from choosing the right size and material to finding the perfect position and fitting each piece into your decor. Furnishing your home can turn into an absolutely overwhelming and stress – inducing experience. One of the reasons is that a furniture purchase may seems so very final. You need to be sure that you are making the right decision and get appliances that will stand the test of time. Falling in love with the look of the furniture, without considering its construction and durability is one of the biggest pitfalls. Cleaning and maintenance should also be on your check list. The ideal furnishing should have transcendent design, distinct details and quality of structure. Here are some guidelines on how to pick the proper furniture for you. Ideally, a furniture piece should feel heavy and solid. Skip the aluminum and the particleboard frame for indoor furniture. The solid wood constructions last longer and add a classy tinge to the interior. However, always ensure that the price is consistent with the quality and your expectations for the lifespan. Aesthetics is one of the most important features when selecting furniture. You should not base your decision solely on the look of the piece. Think about the function and the role of these items in your everyday life. Before buying anything, give it the sit test. No matter how beautiful your new furniture is, it’s useless if it’s not comfortable. Is the shape of the furniture trendy or will it remain stylish during the years? Buying furnishings involves a sufficient investment and it says a lot about you. Choose items that you will love in the future. This doesn’t mean, however, that you should choose something dull and shapeless. Whether you prefer contemporary or traditional design, look for timeless classics. If you are considering buying furniture with exposed wood, pay attention to the stain or finish color. These features can dramatically impact the style and the durability of your pieces. For example you can easily transform a chair from traditional to contemporary by replacing the cherry stain with a black paint. Some finishes require special cleaning and treatment. If you don’t want to spend a lot of time on furniture maintenance, get items that need less care. When purchasing upholstered furniture, keep in mind that lighter colored fabrics are suitable for a bedroom. However, you should avoid these shades for frequently used pieces. Instead, choose a slightly darker fabric that will need less cleaning. The final element of a well furnished home is personality. Look for unique pieces that can add character and interest to the room. It can be anything from an unconventional or interesting tufting, to a colorful detail. Use your personal intuition as a guide. Avoid impersonal or boring feeling spaces. Your taste should be reflected in items of your decor. For more house cleaning tips visit: cleaning services cleaners ltd.
All Beliani sofas are fairly easy to set up. This quick guide shows you how. The Rotunde comes in leather as well as polyester fabric and Beliani also offers a variety of different colors on this popular sectional. 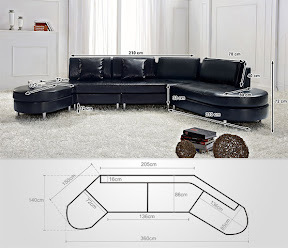 After removing the box, you may want to familiarize yourself with the four different sections the sofa comes in, and where they belong. The piece with the armrest on the side is the end section on your left when facing the couch. The second piece has a solid back rest that goes all the length of this section. The part without back or arm rests is your ottoman section, finishing the sofa on your right. Assembling the legs is easy. You can find them in the pockets underneath each sofa section. 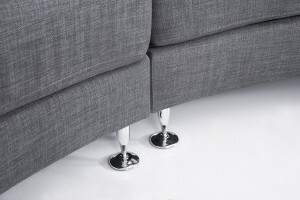 All legs have screw-in ends that can be inserted into the bolts on the underside of the sofa. Please do not over tighten. In case the sofa is missing a bolt, you can pre-drill a hole and screw the leg directly into the wood frame. As a next step, gather the connector pieces and attach them to the side of each section, on the end that will be touching the adjacent section. One section will have a connector piece with the latch up, the other one will have it down, so both pieces will hook together. You can try this out by first holding two connectors and fitting them together in your hands. All that’s left is joining the four sections together as shown on the photo. 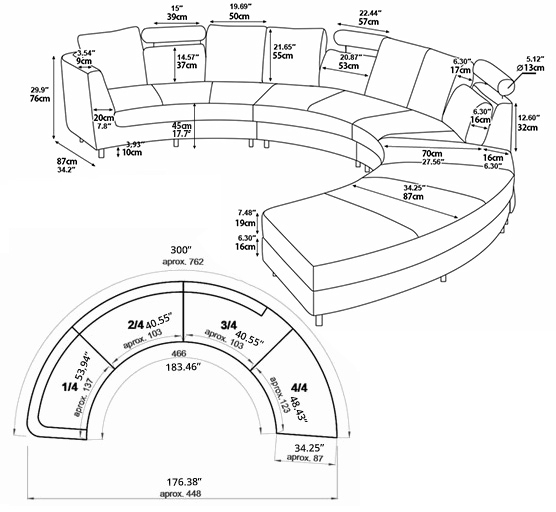 Make sure to place your new sofa into its desired location before completing the final assembly. Pad yourself on the shoulder and enjoy! Finally there here. 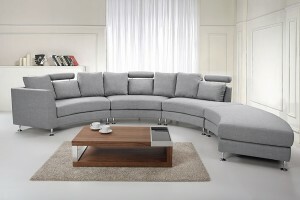 Beliani has completed its indoor collection by adding sharp looking fabric sofas. The great designs like the Rotunde and Olso continue to be available in genuine leather. The options for polyester fabric are now available too. Once more, Beliani does not strive to offer hundreds of variations, but has limited the selection to a few high quality fabrics that hit the nerve of most fashionistas. Limiting the variety leads to substantial savings in production that are being passed on to the customer as un-matched low prices for a quality product. The other advantage are the short lead times. The sofas are stocked centrally in the USA, with an average order ship time of 12 days within the States. Let’s have a look at the Stockholm in beige for example. The frame is still made with sturdy hardwood. Springs and high density foam guarantee for comfort and steel legs complement the trendy look. The fabric has a smooth surface for the whole family to get comfortable in front of the TV. The color appears neutral, I am tempted to say natural, making it easy to combine the modern sofa with other style elements in your living room. My personal favorite are the couches with the dark grey fabric. I especially like the Oslo sectional. They look awesome and complement extremely well with virtually all types of hardwood floors as well as area rugs in most colors. 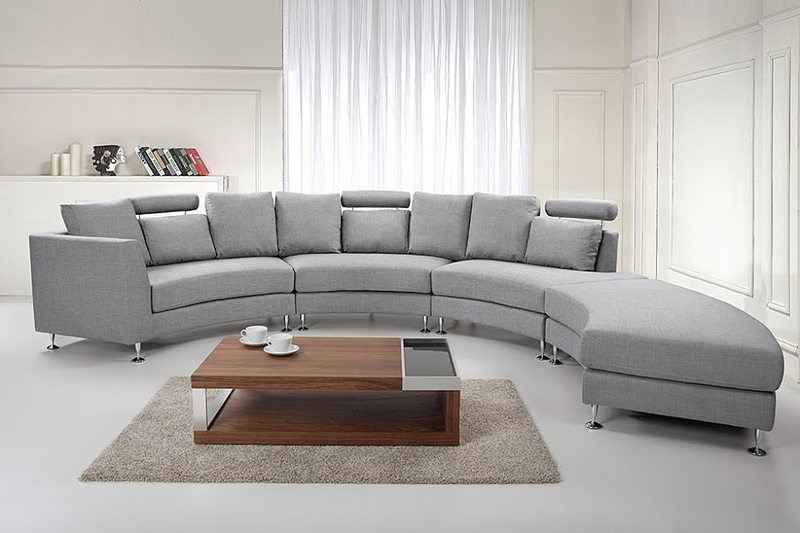 The cool L-shape comes as a 3-seater sofa with a right facing chaise. Super comfy to relax while reading or watching a show. The ottoman is great to put up your feet when sitting on the other side of the couch. All back pillows are removable so you can configure then however you desire. Browse the Beliani website for these and other pieces of the fabric and leather collections, find matching coffee tables and more. Beliani continues to conquer North America. 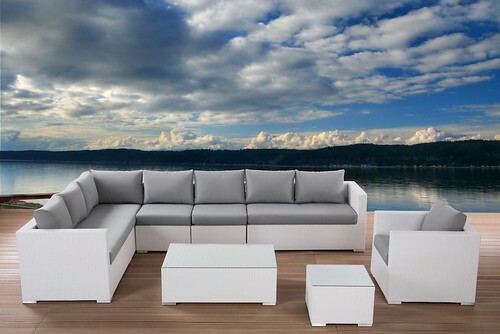 The refreshing sleek design of our outdoor furniture collection is convincing and so is the quality. Customers in the USA and Canada love the lifestyle the furniture brings with it. Beliani’s patio furniture puts an emphasis on relaxing and enjoying. With our sectional lounges and outdoor sofa sets, we bring the living outside. Comfort and modern style are no longer contradictions, they are brought together and build the basis of a new home-feel experience. In an effort to attract an interesting clientele, bars, restaurants and clubs are constantly looking for ways to stand out. 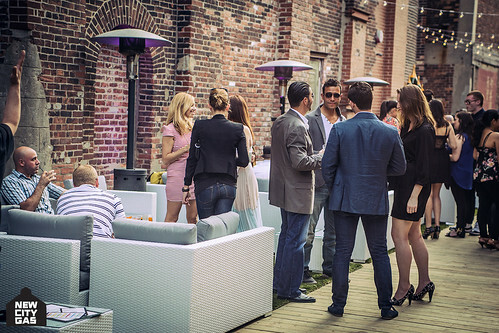 The Montreal club called “New City Gas” has done an incredible job at accomplishing exactly that. The industrial brick buildings offer a great landscape. Nestled in between the buildings is the clubs patio. With the modern design it presents a contrast to the rough industrial background. The choice to use wicker modern patio furniture by Beliani is not a coincidence. The sleek design paired with a subtly striking white and grey palette provide a perfectly clean look and invite guests to sit down and relax with a refreshing drink. Find more great photos on the New City Gas website as well as a schedule of events. If you are ever in Montreal, stop by. Amazing music and more awaits; a truly unique place. 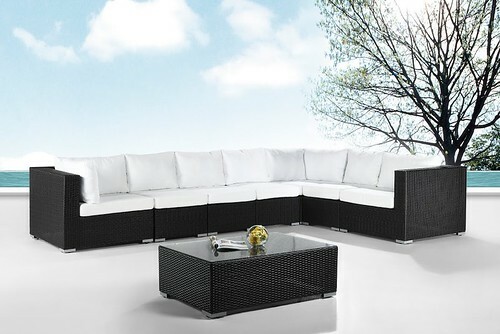 If you’re interested in a similar look for your own modern patio furniture, try our XXL lounge set in white wicker. Summer is fast approaching and it’s time to get your backyard ready for campouts, picnics, waterballoon fights, and BBQs. 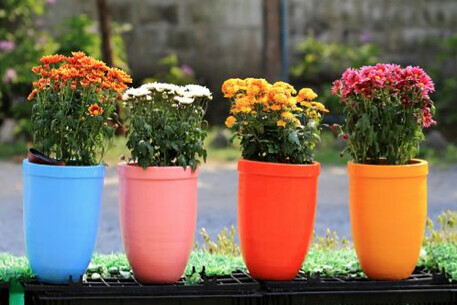 Spend more time outside with family and friends and benefit from beautifying your property (and probably increasing its value) by sprucing up your backyard in time to actually enjoy it. 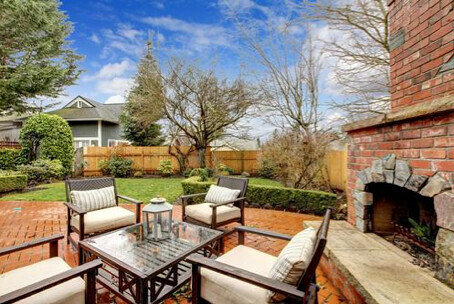 You don’t have to empty your wallet to have a luxurious backyard. While complete backyard remodels can have fantastic results, most backyards just need a little love and attention and maybe a few additions here and there. Here are guaranteed ways to spruce up any backyard on a budget and end up with a beautiful place that you’ll love to spend your summer in. Build it Yourself: The best way to save money when redoing your backyard is to get your hands dirty and do it yourself. You’d be surprised just how many easy DIY projects are out there that you can get done in a weekend, from building planter boxes out of repurposed wood or putting in a pathway of stepping stones.If you’re not really sure where to start, websites like Pinterest and Instructables have endless projects for every experience level. You don’t have to be a master carpenter or a naturally crafty and creative person to complete a lot of the projects out there. Just search around for inspiration, save the ideas that you like, and follow the step-by-step instructions provided. Plant a Garden: Gardening has so many benefits that it’s a wonder why we don’t all make time to start one for ourselves. A well kept garden will make your backyard even more beautiful, you can grow your own herbs and vegetables, and gardening is even good for your health. Many of us are probably hesitant to start a garden, invest all of that time and money into setting it up, with the fear that nothing will grow. But there are a lot of plants and vegetables that you don’t need a green thumb to grow. Even if you don’t have any experience with planting (or worse, if all of your past gardening endeavors have ended in dead plants), you shouldn’t be discouraged. Try again, and this time plant some foolproof plants and veggies that are basically guaranteed to grow. Accessorize: With summer vacation right around the corner, it’s time to start thinking of ways to keep the kids busy during the break. Pools, treehouses, and trampolines are sure to be a hit in any house, but just remember to emphasize water safety and other summer safety tips when playing outside. There are plenty of fun backyard accessories for the kids, but the adults deserve to have some fun too. With the addition of just one or two accessories, your backyard can become the perfect spot for BBQs, parties, or just a quiet place to unwind after a long day at work. 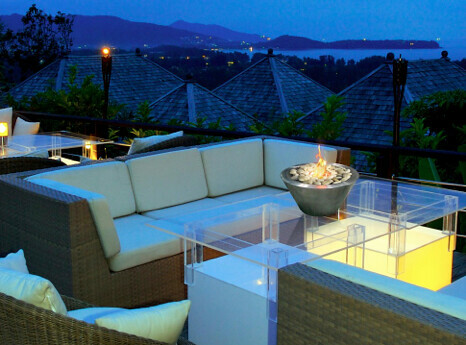 For example, a modern outdoor fireplace could make for a perfect centerpiece to your backyard and inspire countless cozy evenings with friends and loved ones out under the stars, or a new grill could inspire more easy (and healthy) home cooked meals and let you enjoy the outdoors at the same time. Remember that accessories don’t have to be huge investments, either. Accessorizing can be as simple as stringing up some old Christmas lights to make summer evenings just that much more whimsical. And at Beliani you will find the perfect patio furniture for any budget. Naomi Shaw is a journalist who lives in California with her husband and three children. She has been in the home decor and renovation business for years and loves to write on the topic as well. As summer approaches, she hopes you find these tips helpful to enjoy your backyard even more. Trying to catch the attention of the trendy patio people, Beliani is bringing some exciting new modern outdoor furniture designs to North America. Outdoor lounge furniture is hugely en vogue these days. All-weather high end wicker furniture seems to be the material of choice in most cases. Why not? It is durable and easy to maintain. It also looks great and comes in cool modern designs. The Sano above is a sleek outdoor sofa in black wicker. 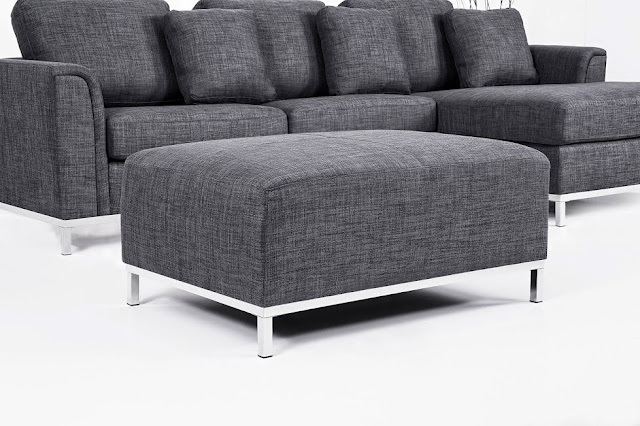 The cushions come standard in steel grey, which gives the set a very modern touch. The back cushions are slightly fluffier and softer than the bottom cushions, providing optimum comfort. The set is fully modular, which means the chaise can be on either side of the sofa. It could even be used as a free-standing ottoman. The whole set can be turned into a conversation set for 4 if needed. White is the new black, is that what I heard? In any case, it is the pure color, the color that adds dynamics and simply complements everything. White wicker has a long tradition in colonial settings. Beliani is now using it on a modern outdoor furniture set, that has been most successful all around the globe in its espresso color – the XXL. 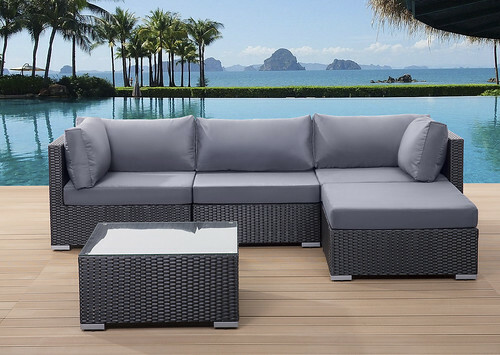 The silver grey cushions underline the hip style of the white wicker sectional. Another great high end wicker furniture set is the Grande. Being fully modular means every seat is a separate piece of furniture here. 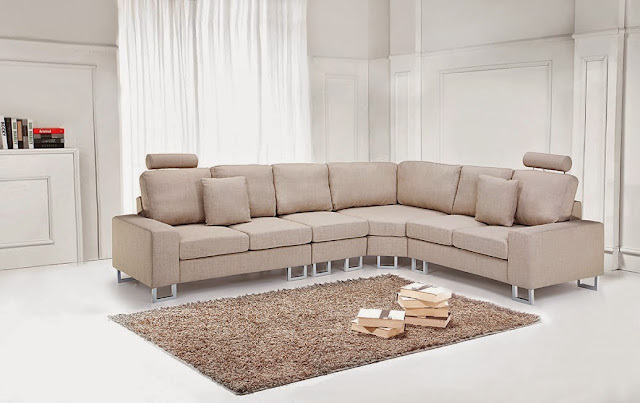 Three identical corners and four modular seats can be set up in a variety of ways, giving you total flexibility. You can form sitting niches, chaises and single chairs and group them around the coffee table with the tempered glass top. The Grande offers extra deep seating for the perfect lounge-feel, all with durable resin wicker in espresso color. The outdoor fabric cushion covers are removable and machine washable. 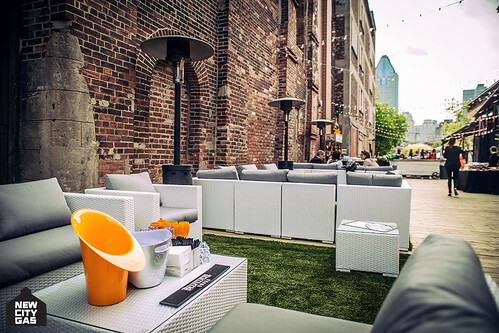 Patio season is lounge season – enjoy! Europe tends to be ahead of the curve when it comes to fashion and designer patio furniture. A glimpse across the Atlantic can give us a hint at what may become fashionable sometime soon in the U.S. Especially restaurants and cafes seem to constantly re-invent themselves. Attracting new crowds and keeping the existing customers interested is the goal. A new trend in restaurant outdoor patio furniture is often picked up by consumers for use on their personal patios. Very popular are combinations of two materials, often wood and metal. 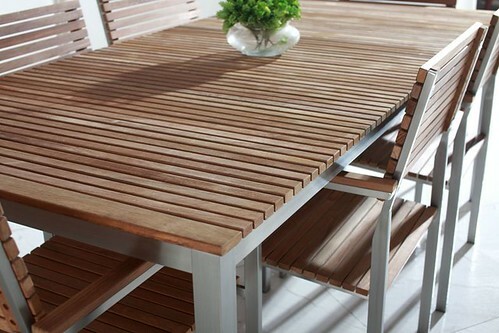 We see aluminum or stainless steel with teak or faux wood. While the wood keeps the style down to earth and natural, the stainless steel look brings in the modern touch. It’s a great combo that looks fantastic. Europe has an affinity for developing modern designs. 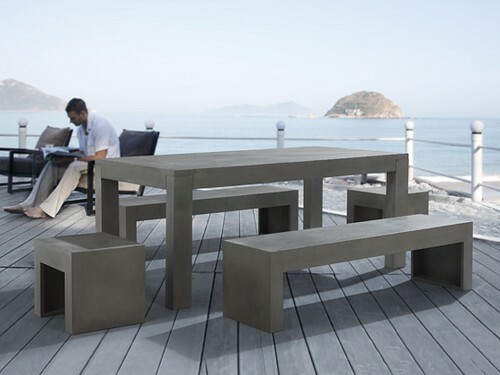 Straight lines define a clean-cut simplistic product – exactly what this concrete outdoor dining set is about. There is no distraction here, only one material, a seamless structure, purely sleek. The difference will be where you choose to put it. 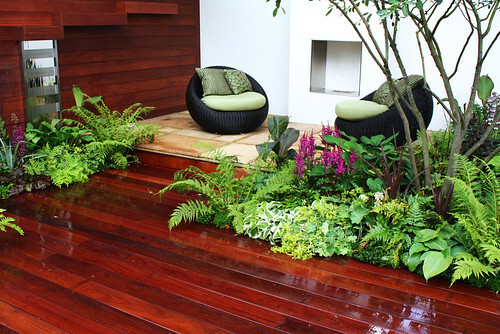 On a wooden deck for example it looks absolutely stunning. This designer patio furniture is currently available at Beliani. 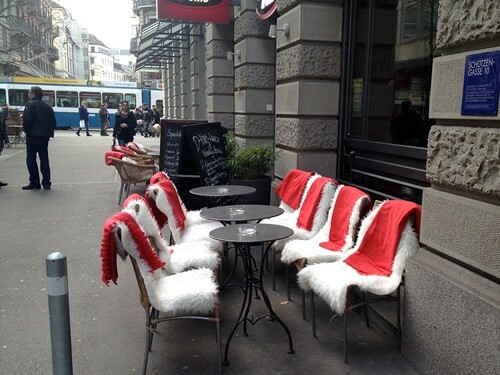 In Zurich, Switzerland a big trend this spring seems to be to have fur or fur-like shaggy blankets over the chairs. They are cozy and inviting despite the somewhat cool weather. The chairs underneath are your classic iron with wood slats fold-ups or resin wicker for more comfort. Space is scarce, so tables and chairs are small; mostly in bistro settings. How Can I Buy Good Furniture Online? 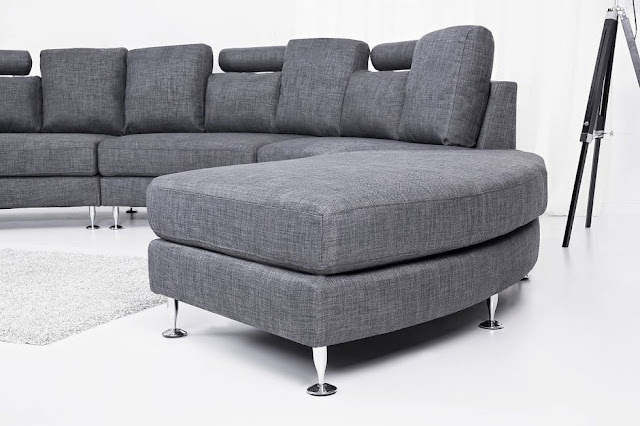 Finding modern sofas and functional furniture at a reasonable price can be quite the task. Great, elegant pieces can be hiding from you in the furniture store and it may take you many hours to discover them. Often, that exact coffee table you like is the one with the price tag that you have to double check because you can’t believe your eyes. Are you going to pull the kids out of private school to afford it? But, no! Is it possible to buy decent furniture online? Check out the provider. Read forum posts and gather opinions from existing customers. Make sure the retailer grants a right of return. Find an online store that represents your style. Double check that the articles are in fact in stock. Study all photos in detail before you order. A good provider will have plenty of pictures of the furniture products to make sure the customer understands what they are buying. Read the product description and visualize the furniture in your home. Make sure to take down the measurements and measure if the furniture fits in the space where you want it. Remember that the color of the furniture may be slightly different, depending on your computer monitor’s settings. When in doubt, ask the retailer to confirm the color. Look for specials and vouchers! If you follow these simple tips, you are very likely to find great quality furniture and modern sofas. Beliani offers a variety of modern design furnishings. In our online furniture outlet, you can find coffee tables, sectional sofas, outdoor seating and patio dining sets.